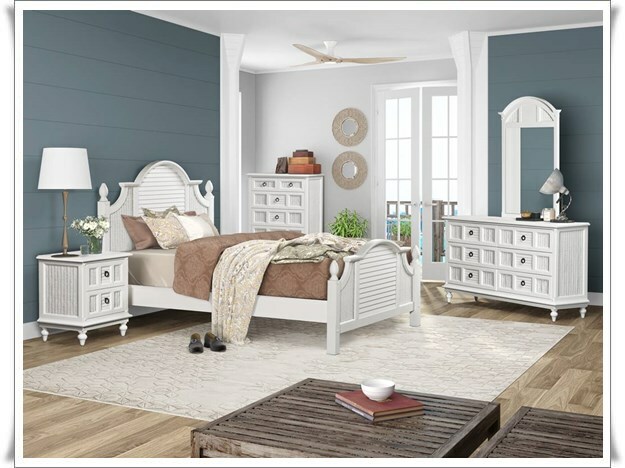 The Key West Bedroom Collection creates a rich tropical look by combining wood, wicker, and shutters. The group also features turned wood feet and metal hardware to add a classy look. Finishes available in Cottage White and Weathered Plank.